Shannon’s art has garnered the most gratifying of accolades, the enthusiastic support and approval of celebrities themselves, and those within the industries in which they have achieved notoriety. One such celebrity, Sylvester Stallone, expressed his sincere appreciation and overwhelming support to Shannon personally moments after unveiling a five postage stamp tribute to the Rocky series on the 20th anniversary of the release of the United Artists’ Oscar winning motion picture, Rocky, in November of 1996 at New York City’s Planet Hollywood. Shannon worked with Mr. Stallone again on the development of the artwork for the movie, "DRIVEN". Shannon’s highly acclaimed Rocky postage stamp tribute followed other successful stamp design projects…James Dean, Jackie Kennedy, Muhammad Ali, Elvis Presley, Diana / Princess of Wales, JFK Jr. and others. In 1998 Shannon was donned “The World’s Greatest Beatles Artist” by the Lord Mayor of Liverpool. In 2000 a millennium celebration was held, complete with fireworks and Shannon’s artwork projected on the great buildings of Liverpool. 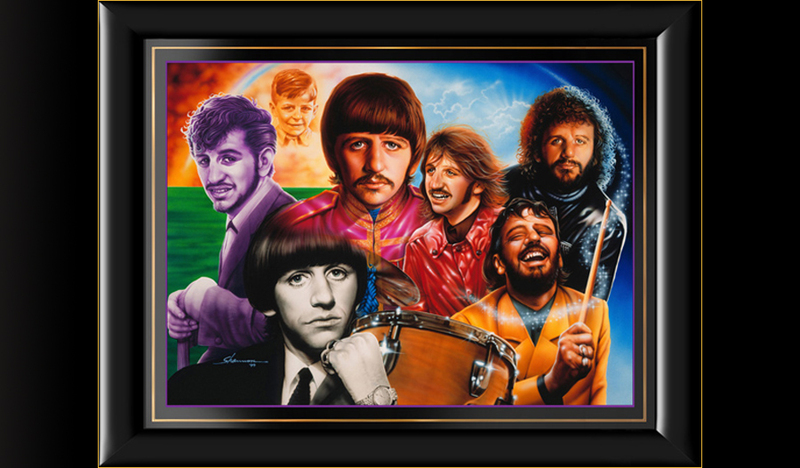 Her Fab-4 fame also secured her the position of creating over one hundred paintings for the first Beatles “Hard Day’s Night Hotel”. In 2009 Shannon was inducted into The Cavern Club’s “Cavern Hall of Fame” and is their official artist. Shannon has worked close with the Rock and Roll Hall of Fame, Donald Trump Casinos, Graceland, The Spielbergs, and many more. Please feel free to call us at 310.739.4930 or email us at info@theharddaysnighthotel.com for any questions pertaining to the art below or if your interest is in commissioning Shannon to create an original painting for you. Thank you. In 1998 Shannon was invited to Liverppool, England and declared "The World's Greatest Beatles Artist" by the Lord Mayor. She also received the news that she had been chosen to paint over 100 paintings for the Hard Day's Night Hotel...a future hotel themed after The Beatles. It took until 2006 for this to come to fruision, and this painting, Anjorbirdkansing" (pronounced And Your Bird Can Sing) was the first of 120. 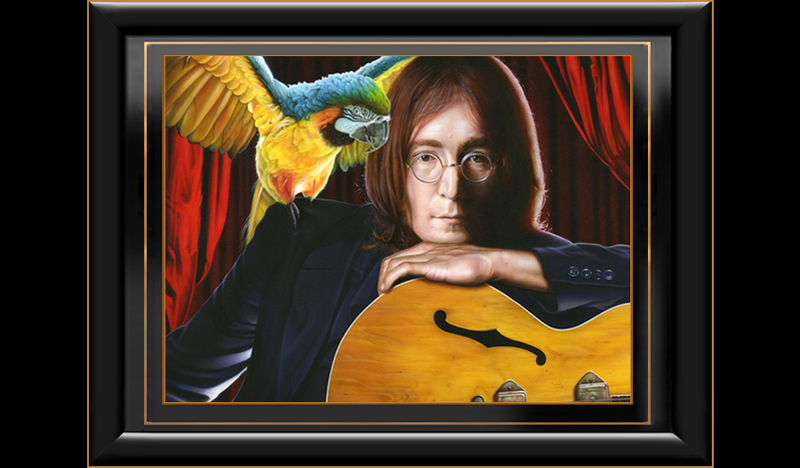 A large print of Anjorbirdkansing appears in the John Lennon suite and a same-size version in the grand lobby. In 1997 Shannon created her most famous painting of her favorite Beatle, John Lennon. She called it "Seven Faces Of John". It was the painting that launched and charted her career, from the USA, over the seas to England. 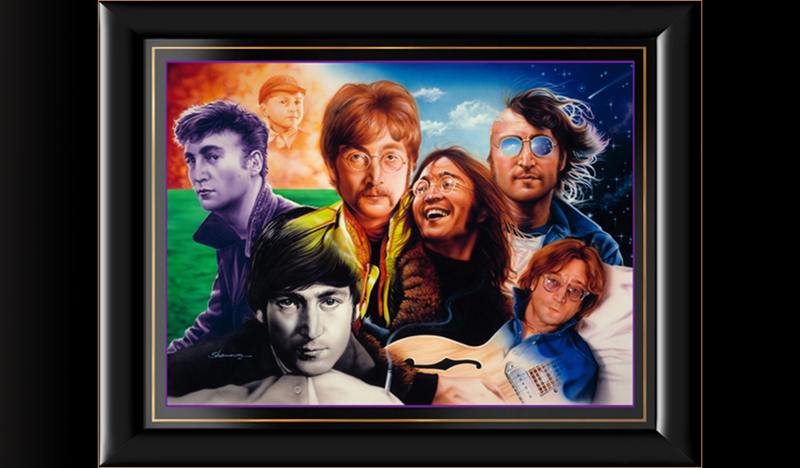 The story behind the painting: Shannon's idea was to create a painting depicting the life of John Lennon. From childhood through 1980, the painting would take the viewer through important historical looks of the most famous chameleon rocker to grace the 20th Century. 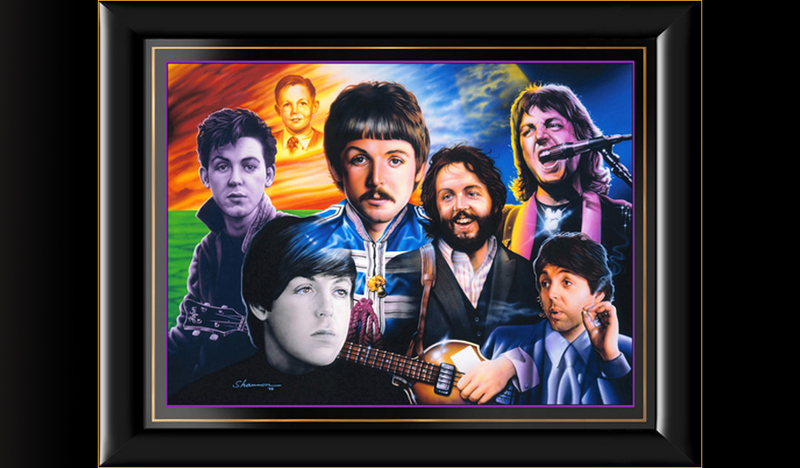 When first unveiled in New Jersey, The Seven Faces of John was a smash hit taking home the blue ribbon in the art contest. The next question asked of Shannon was unexpected, "When can we expect the other three Beatles?" The intention was never to create three more paintings but the demand was large. Over the next two years three more paintings were created . . . 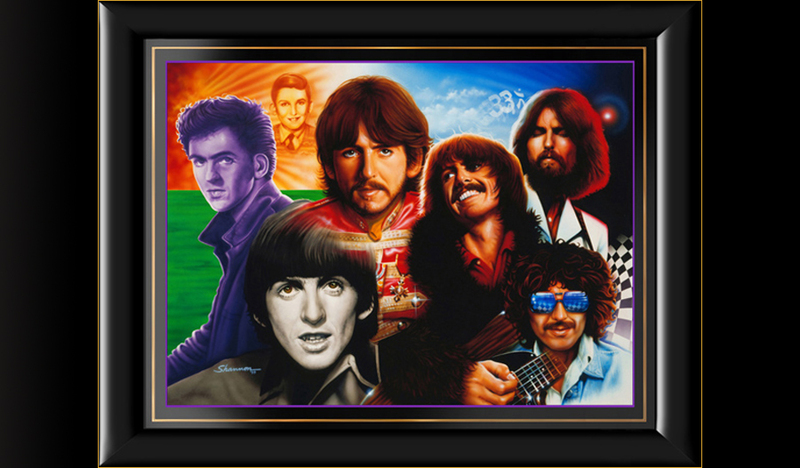 The Seven Faces of Paul, The Seven Faces of George and The Seven Faces of Richie. This is, by far, the most famous of all the Shannon Collection. In 2010 the Seven Faces of John was redesigned to include to other images painted by Shannon. The special edition "Nine Faces Of John " was created for the celebration of John's 70th birthday and the 30th Anniversary of his untimely death. Shannon created her most famous painting of her favorite Beatle, John Lennon. She called it "Seven Faces Of John". It was the painting that charted her career from the USA over the seas to England. The next question asked of Shannon was unexpected, "When can we expect the other three Beatles?" The intention was never to create three more paintings but the demand was large. In 1998 Shannon painted Seven Faces Of Paul. Shannon created her most famous painting of her favorite Beatle, John Lennon. She called it "Seven Faces Of John". It was the painting that charted her career from the USA over the seas to England. The next question asked of Shannon was unexpected, "When can we expect the other three Beatles?" The intention was never to create three more paintings but the demand was large. In 1999 Shannon painted Seven Faces Of George.